With the diabetic, anything that will help them lower their blood sugar level is beneficial to them. In particular, pomegranate fruits have been linked with having the capability to lower blood sugar levels. Pomegranate is therefore beneficial to people living with diabetes or has hyperglycemia. Doctors and nutritionists in Africa and India are investing more on studying pomegranate flowers, extracts and seeds to determine the exact link between it and helping the diabetic reduce their blood sugar levels. In 2007 a study indicated finding three antioxidants in pomegranate that have anti-diabetic properties. You should, therefore, include pomegranate as part of your diet but under the instructions of your doctor. Pomegranate fruits grow on punica gratum tree that is native to Iran however, according to a research by University of Maryland Medical Center pomegranate fruits have also found to be cultivated in Asia, Europe, the Mediterranean and some parts of Africa. Tests have shown Pomegranate to contain antiviral properties, antibacterial and antioxidant properties. Over the years there has been a heated debate on the amount of pomegranate juice one should take in a day as a diabetic. Steven D who is a leading doctor and nutritionist recommends drinking 8-12 ounces per day whereas other nutritionists warn that one should take pomegranate juice or fruits without seeking the doctor’s approval. In 2007 a report published in the African Journal of Traditional, Complementary and Alternative Medicines compared the effects of herbal compounds on the blood sugar levels. The test subjects used were rats, after careful analysis, it was found that there was no significant difference between the fasting glucose level in the control group and the group administered with herbal compounds with pomegranate seeds included. However, subjects given pomegranate seeds show an insignificant effect on the blood sugar levels. 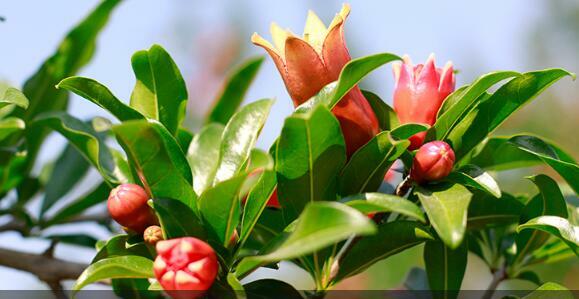 Practitioners from India, Uyerveda and Unani published a report in 2008 on how pomegranate flowers affect the blood sugar levels if administered to the diabetics. The review authors came up with a conclusion that pomegranate flowers have a compound called PPARs that is responsible for ensuring the body maintain controlled blood sugar levels. PPARs are also used to treat hyperglycemia and other metabolic disorders. Most fruits have sugars in free form and this explains why they lead to a drastic rise in the blood sugar levels. Pomegranate fruits, on the other hand, have its sugars attached to antioxidants belonging to the ellagitannin class. These antioxidants play a vital role in ensuring the body maintains controlled blood sugar levels. Juice extracted from pomegranate whole fruit and not just seeds have 3 times as many antioxidants as green tea and red wine. Most diabetics may suffer from reactive free radicals which in turn cause inflammation a condition that is very discomforting. With excessive inflammation you are likely to suffer from oxidative stress, pomegranate, on the other hand, contains antioxidants that reduce the effects of oxidative stress. Pomegranate contains oleznolic, ellagic, punicalagin, gallic, ursolic acids, and uallic which are compounds verified to have anti-diabetic effects. Pomegranate also has antioxidant polyphenols such as anthocyanins responsible for the red color which together with tannins compound plays an important role in controlling type 2 diabetes. Atherosclerosis which as a disease associated with the heart can cause stroke and is the major leading cause of death to people living with diabetes. The disease is caused by the accumulation of bad cholesterol in the arteries. Pomegranate seeds play an important role o reduces the amount of bad cholesterol in the body and in the process prevents atherosclerosis. Also, the antioxidants in pomegranate reduce oxidation in the body increasing by 141% the level of glutathione a natural antioxidant. Diabetes has become a major epidemic in the world and for this reason, alternative treatment methods have to be found. 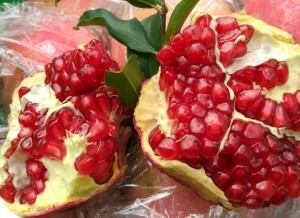 In particular, pomegranate plays a significant role in treating diabetes if added to a diabetic meal. Other plants that can play a similar role include juman, garlic, tulsi, and fenugreek. Most of the above-named plant’s aids in the quick digestion of carbohydrates with pomegranate going an extra mile in preventing oxidative stress caused by diabetes. How much Pomegranate should you take in a day? The study on how pomegranate prevents atherosclerosis recommended a dosage of 50ml each day; however University of Maryland Medical Center recommends 8-10 ounces of the juice each day. To be safe take no more one pomegranate in a day, even better mix it with other fruits and salad considered suitable for the diabetics. Most importantly it is important to first consult with your doctor when using pomegranate s an alternative method to treat diabetes.